Barry Albin-Dyer sadly passed away aged 64 following a brain tumour which was diagnosed in July 2013. Barry was for 30 years the chairman of F A Albin & Sons. Clad in immaculate top hat and undertaker’s frock-coat and brandishing a cane, Barry was a familiar sight at Bermondsey funerals, as well as at Wootton Bassett (and later Brize Norton), leading the cortege in the tradition known as “paging”. Barry was born in south London on February 2 1951. His father George was an undertaker. Life revolved around the work; the family lived above the shop and Barry’s mother helped with the administration. At seven, Barry was given the job of polishing the brass plaque on the door and cleaning the fire grate. “I grew up with coffins in the corner,” he recalled later. “My dad was very clever. He never closed any doors so I could go anywhere. I wasn’t afraid of it. He was educated at Bacon’s College in Rotherhithe, becoming head boy. When he was 17 his mother died of cancer and he credited this early loss with helping him to understand grief. She was looked after in her final months by the local nuns, the Sisters of Our Lady of Mercy. Their example of self-sacrificing kindness profoundly affected Barry, leading eventually to his converting to Roman Catholicism. Having gone straight into the business, by his mid-thirties he had taken over FA Albin & Sons from his father and his uncle, Fred Albin. He transformed the firm, which was nearly 200 years old, into a bigger operation employing some 50 people, compared with a third of that number when he started. He was not afraid to move into novel territory, offering customers the option, for example, of having their bodies cryogenically frozen in liquid nitrogen and stored in a facility in Michigan, until such time as medical technology might be able to revive them. Bermondsey was becoming increasingly multicultural during this period, and Barry was adept at cementing alliances with people of varied faiths, such as the Iranians, who grew to value his professionalism as well as the sense of solemnity without mawkishness with which obsequies were conducted. As a community-minded figure, Barry would help local people whenever he could. In 1998 the Southwark News was at risk of going under, and he stepped in to secure the finances of the paper and back the young journalists who were struggling to keep it afloat. He wrote three volumes of memoirs – Don’t Drop the Coffin!, Bury My Heart in Bermondsey and Strong Shoulders – and appeared in a television documentary, also called Don’t Drop the Coffin. 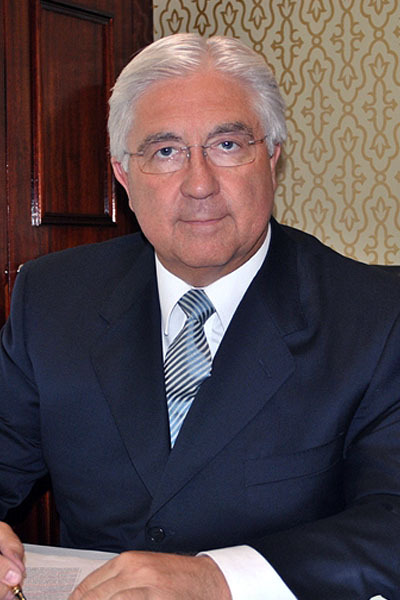 Barry’s public roles included the presidency of the International Funeral Directors’ Association. He was appointed OBE in 2010 for his work repatriating British troops. He was a revered figure in Bermondsey and in 2012 was made a deputy lieutenant for Greater London; that year he was also honoured for Lifetime Achievement at the Good Funeral Awards.